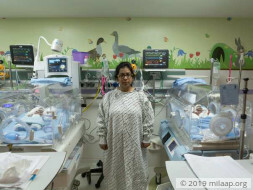 Sanhita and Dipankar Baby of Sanhitha Sengupta gave birth to twins (male and female) who are 28 days old, and are in a critical state due to premature birth. 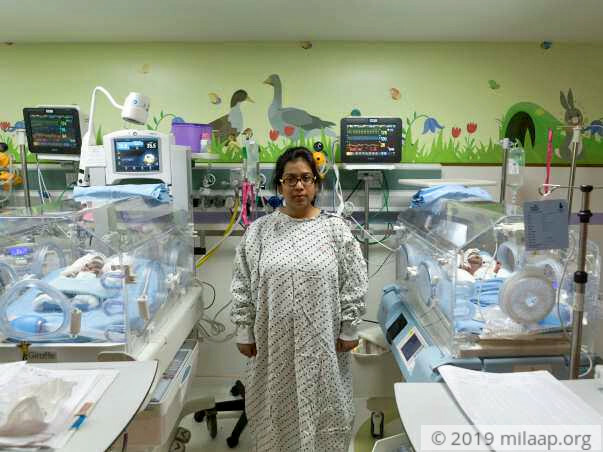 They are in the ICU and need to remain in the NICU for the next 7 weeks in order to recover. 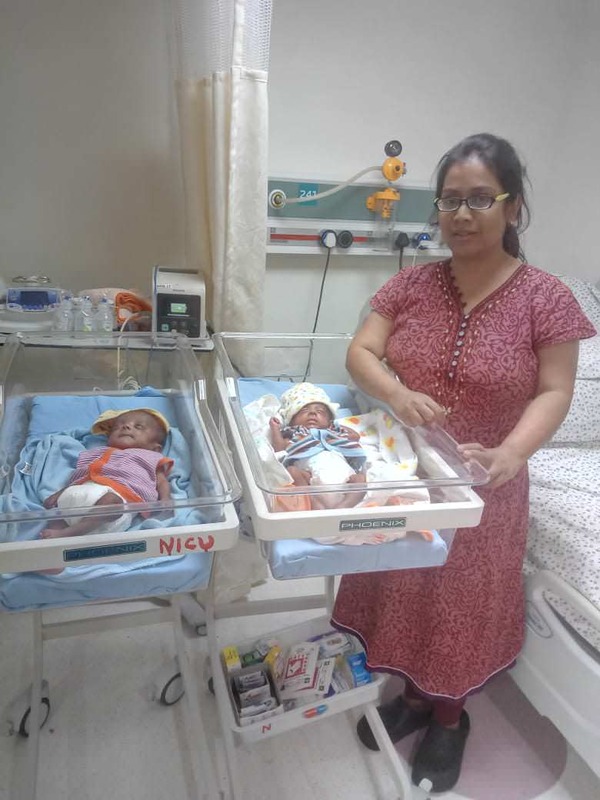 The treatment for each twin is around 18 lakhs each and the parents do not have the funds to save their babies. They need our help. Thank you for the wonderful support that you have shown towards my babies. I have some good news to share with you today. Both my babies have been discharged from the hospital yesterday, 27th May as their health and vitals had improved. Thank you for the wonderful support once again. Please do pray for their health and speedy recovery. Thank you for the wonderful support that you have shown towards my kids. My son is doing better now and he might be discharged in a few days. My daughter is still in the hospital and will be requiring an additional stay in the hospital. 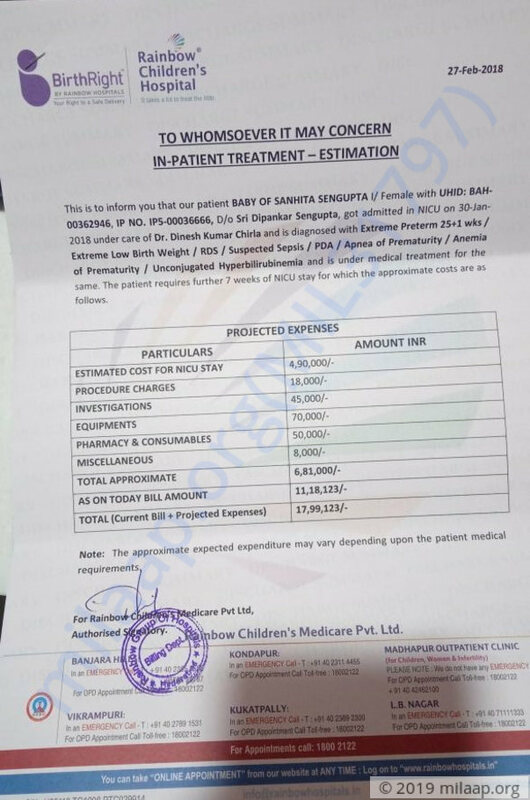 The doctors have advised us that she will be needing a hernia operation as well and her weight also has to increase further. I would request you to please share this campaign further with your friends and family. Please do pray for her health and speedy recovery. Here is an update on my 2nd baby. The baby is not doing so well. His weight is increasing very slowly similar to my baby girl. Current weight is just 800gm and on continuous CPAP support. 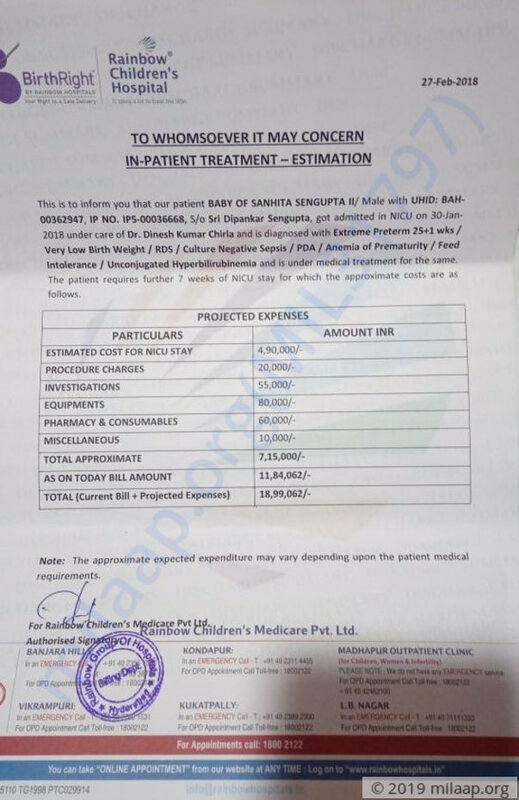 If this continues then it may become very difficult to pay the hospital bill. Please do share the fundraiser with friends and help raise funds for our little ones. Thank you for your wonderful support so far. Prayers and blessing for the little ones!!! I know Dipankar. We met several program at Indian Bengali association Montreal.